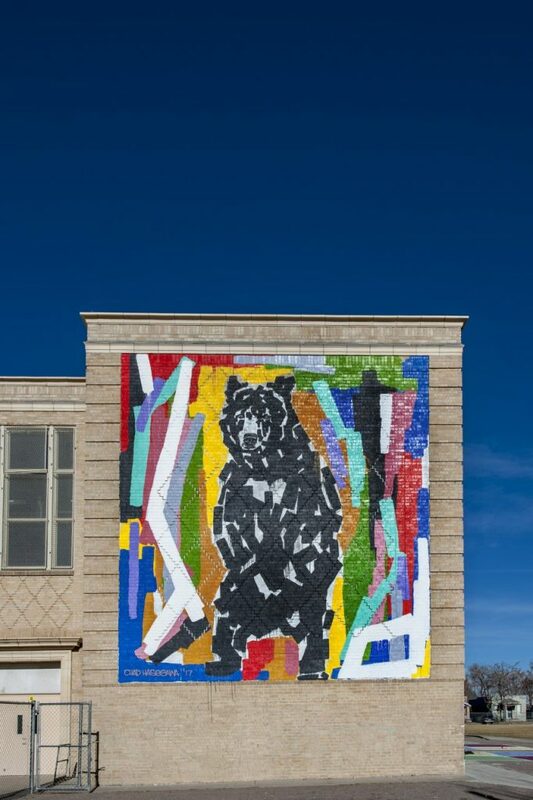 Through the award-winning Urban Arts Fund, Denver draws locally, nationally and internationally renowned artists to turn the blank canvases of ordinary urban walls into works of art. The Urban Arts Fund (UAF) is a graffiti prevention and youth development program funded through Denver Arts & Venues which facilitates the creation of new murals in perpetually vandalized areas throughout the City and County of Denver. The UAF provides access to positive, creative experiences for youth and transforms dilapidated areas into well-tended and active community gathering spaces. 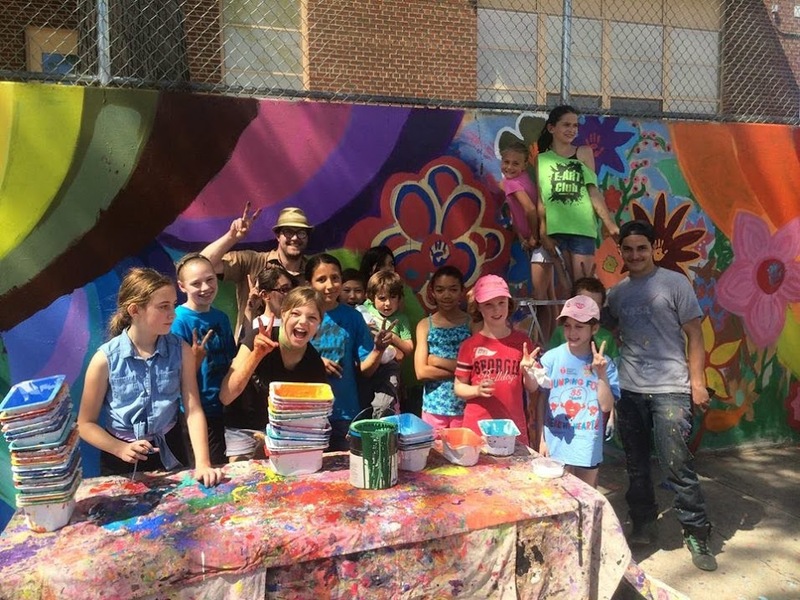 Since 2009, with the help of more than 3,500 youth and 800 community participants, the program has facilitated nearly 300 new murals and has helped protect more than 450,000 square feet of walls from vandalism. The Urban Arts Fund was expanded in 2017 to encompass several extended programming partnerships connecting artists to the community. This group of immersion projects, known as Urban Arts Fund: Engage, focuses on community-building and social change. Projects in neighborhoods and city council districts which currently have few or no UAF mural projects, including but not limited to, council districts 4, 5, 6 and 8. FUNDING RANGE: $2,000. TO $8,000. Applications open through March 18. Inspired by IMAGINE 2020, Denver Arts & Venues (A&V) is committed to the agency’s Diversity, Equity and Inclusiveness Initiative (DEI), and how these core values are reflected in all our programs and processes. As an agency priority, the DEI Initiative will continue to evolve with our steadfast dedication to all our residents, as Denver is a city where everyone matters, and everyone matters in the arts. Denver Arts & Venues (A&V) established the Urban Arts Fund (UAF) in response to graffiti task force recommendations by Mayor Hickenlooper’s administration in 2007. The goal was to create murals in areas that were deemed “graffiti hot spots,” and to provide positive, creative experiences for youth to deter future vandalism. The first mural projects were implemented in 2009. With the help of more than 3,500 youth and 800 community participants, the program has facilitated nearly 300 new murals and has helped protect more than 450,000 square feet of walls from vandalism. The UAF program is fully funded by Denver Arts & Venues, however, all projects require matching funds or in-kind donation of goods and/or services. The program may accept donations either to the program as a whole, or to individual initiatives. 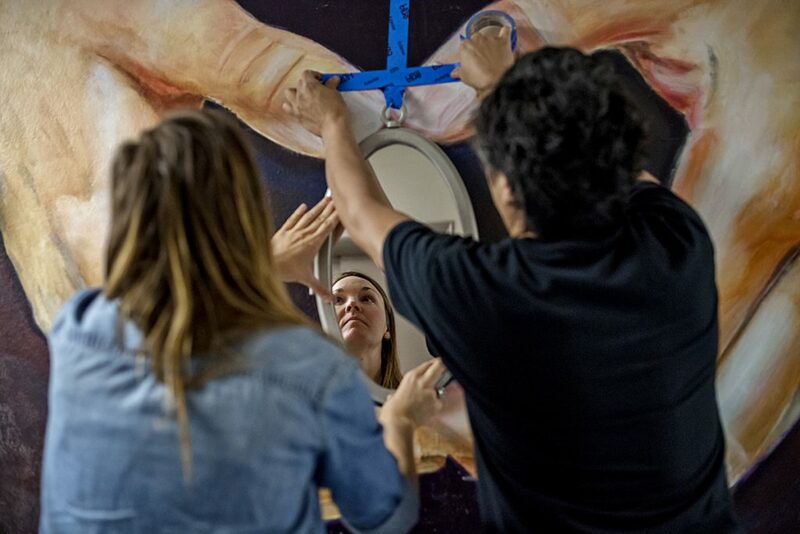 For the purposes of the UAF program projects, a mural is defined as a one-of-a-kind work of art, which is hand-created and applied directly to the surface of a physical structure. It may be comprised of paint or a variety of mixed media, including three-dimensional elements, which are graded for exterior use and harmoniously integrated into the physical structure. Diversity: Recognition and representation of individual or group differences encompassing race, ethnicity, gender, sexual orientation, country of origin, ability, socioeconomic status, age, religion, and other area of identity. Inclusiveness: Embracing differences by creating environments in which any individual or group can feel welcomed, respected, supported, and valued to fully participate. To achieve inclusiveness, recognition of implicit or unconscious bias is necessary. Equity: The fair treatment, access, opportunity, and advancement for all people, while at the same time identifying and eliminating barriers that have prevented the full participation of some groups. Improving equity involves increasing justice and fairness within the protocols, processes, practices and policies of institution or systems, as well as in their distribution of resources. Confronting and tackling equity issues requires an understanding of the root causes of disparities within our society. Equity is closely tied to actions and results to address historical disparities. Any artist or team of artists demonstrating the ability to execute a successful mural project regardless of race, color, creed, gender, gender variance, national origin, age, religion, marital status, political opinion or affiliation, or mental or physical disability. We encourage emerging artists, and artists representing marginalized communities including women, people of color, people with disabilities, and people identifying as LGBTQ+, to apply. Denver Arts & Venues is committed to diversity, inclusiveness and equity in all programs, initiatives and decision making processes. Projects in neighborhoods and city council districts which currently have few or zero UAF mural projects, including, but not limited to, council districts 4, 5, 6 and 8. Projects on private property will require permission from the property owner. You may use the Property Owner Letter as an introduction to the property owner. This letter describes the UAF Program, its benefits, and the responsibilities of the City and Property Owner. For projects in public spaces (example: in a city park), once approved, Arts & Venues will work with City Council representatives to garner their support of the project in their district. UAF projects must focus on a “graffiti hot spot.” A graffiti hot spot is an identified geographical location which is the ongoing target of graffiti vandalism. Photo documentation of graffiti vandalism must accompany each application. See map of graffiti hot spots. The Urban Arts Fund Steering Committee (UAFSC) will review and select UAF projects on an annual basis. The UAFSC is comprised of one member from each of these city departments: Denver Public Works, Public Art Committee, Denver Commission on Cultural Affairs, Denver Community Planning & Development, Denver Parks & Recreation, Mayor’s Office. Additionally, the Steering Committee includes at least one local artist. The maintenance of UAF mural projects on private property is the sole responsibility of the property owner. For projects on public property, A&V will make every effort to conserve murals within its means to do so. The artist will be given the first opportunity to restore or repair a mural. At its discretion, the City of Denver reserves the right to abate any mural project in a public space. Interested in creating art on your property, but don’t need a grant from Urban Arts Fund? Denver Public Art serves as a liaison between artists, property owners, Public Works, and Community Planning and Development. We can help you make sure that your art fits any community guidelines or codes.